Theranexus has been the green light to start trials of an Alzheimer’s disease therapy (AD) based on two generic medicines by the French authorities. One of the drugs is donepezil, a cholinesterase inhibitor that has been used for years to treat the cognitive deficits in AD but is regarded as having limited, transient activity. Lyon-based Theranexus is pairing it with mefloquine, an antimalarial compound first introduced in the 1970s that it thinks has the potential to be re-purposed as a dementia treatment. The combination – called THN201 – will now start a 150-subject phase 1b trial at eight centres in France to see if it can beat the activity of donepezil monotherapy and placebo in improving cognitive function in AD patients, without compromising its safety. Mefloquine’s promise in AD lies in its ability to affect the activity of glial cells such as astrocytes, which surround neurons and normally provide support and protection for them, says Theranexus. The biotech’s platform is based on combining CNS drugs targeting neurons with a glial cell-modulating agent that it thinks can improve the response to the primary therapy, and mefloquine is just one of a portfolio of glial cell agents that it is developing alongside already-registered therapies to create new, patent-protected therapies. 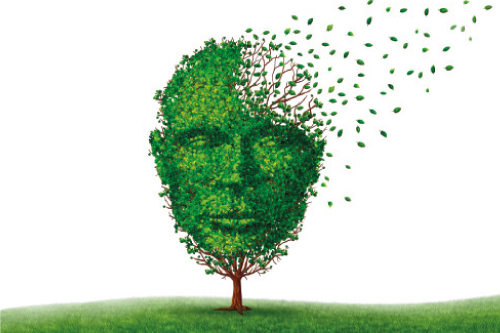 While the ultimate aim of AD therapy is to develop treatments that affect the underlying cause of the neurodegeneration that leads to dementia, dozens of failed trials – particularly for anti-amyloid therapies – mean that goal remains speculative at best. And despite their limited therapeutic activity, cholinesterase inhibitors and similar drugs have developed into a $3bn-plus market, suggesting that even a modest improvement on efficacy could be a success commercially. Theranexus still has some way to go before it can demonstrate proof-of-concept for THN201 in AD, although it should have preliminary data on safety, pharmacokinetics and cognition before the end of next year. It’s also testing the idea in two other combinations, THN102 (modafinil and flecainide) for narcolepsy and excessive daytime sleepiness associated with Parkinson’s disease, both of which should have phase 2 data next year, and neuropathic pain candidate THN101 which pairs amitriptyline with mefloquine and has completed initial clinical pharmacokinetic studies. “Improving the management of neurocognitive disorders, particularly in Alzheimer's disease, remains a major public health challenge,” says Professor Régis Bordet, a neurologist and clinical pharmacologist at Lille’s main teaching hospital, who is coordinating the phase 1b study. “In this context of high patient expectations, THN201, stemming from Theranexus’s technology, is a very promising drug candidate, both for its mechanistic approach and its clear preclinical superiority in terms of efficacy over the standard of care treatment used for this indication,” he adds.